Full confession here. I am about as extroverted as a person can be. Yet, I am married to an introvert and raised one. Until that experience, I didn’t fully realize how skewed our educational system is towards the extroverts. If you think about it, it makes sense. I would imagine most teachers lean towards or are extroverts. Our training programs are definitely structured to create the ideal classroom environment for an extroverted child. Unfortunately, the same lesson plans and classroom environment that will send an extroverted child into squeals of delighted learning can overwhelm an introverted child. If the child is extremely introverted, many of the things we do can cause them to shut down from the stress they get from the environment. Without proper guidance, an introverted child may not be achieving his/her potential because of the ways the material is being presented. Alternate activities that are particularly loud and boisterous with activities that are calmer and quieter. Consider giving students the option of working in groups or on their own for projects. Have a decompression area in your classroom. It should be cozy and removed from the main activity areas. If possible, provide headphones with the ability to play calming music or just to block out the noise. Talk privately with your introverted students. Do you have a child who never speaks in class? Have a non-threatening conversation privately to find ways to make him/her more comfortable participating. 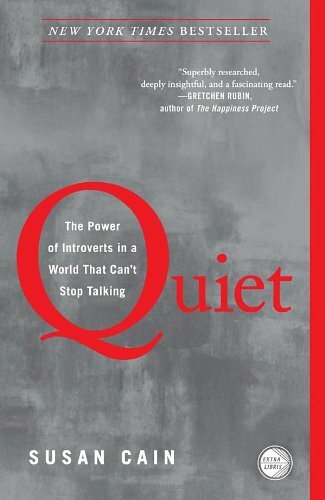 Read the book Quiet: The Power of Introverts in a World That Can’t Stop Talking by Susan Cain. in the book, Ms. Cain explains how introverts work best and ways to help them reach their potential. One of your goals as a volunteer teacher should be to help each of your students to reach his/her God-given potential. Adapting your lessons to accommodate all types of personalities can enhance learning for many of them.